I didn’t appreciate being in the kitchen until I was married. I’m the baby, the third of three girls and was often tasked with well… let’s call them “less complex” jobs. Honestly, my mom had more willing and capable help when it came to working in the kitchen. Truthfully, I was a bit impatient and guilty of snacking on carefully measured ingredients like the chocolate chips! Once I got married, it struck me that knowing how to cook more than grilled cheese might be helpful. When my first baby arrived, a dose of domestic panic hit me and in a blurry eyed state I signed up for a cooking course! Although I didn’t graduate as a professional chef, I gained some needed confidence in the kitchen. When my oldest was 3 he was keen to be in the kitchen with me. He proudly sported a tiny white apron, ready to stir, pour, measure and splash in our soap filled sink. It was so much fun and a great way to connect. Today at 14, he still loves cooking (hooray) and will treat us to a family meal or breakfast in bed. My youngest was and is still more interested in sports. He is not in the kitchen as much, but helps out by cracking an egg or two and happily samples any creations. Cooking is an important life skill. Picky eaters are more likely to try food they help make. 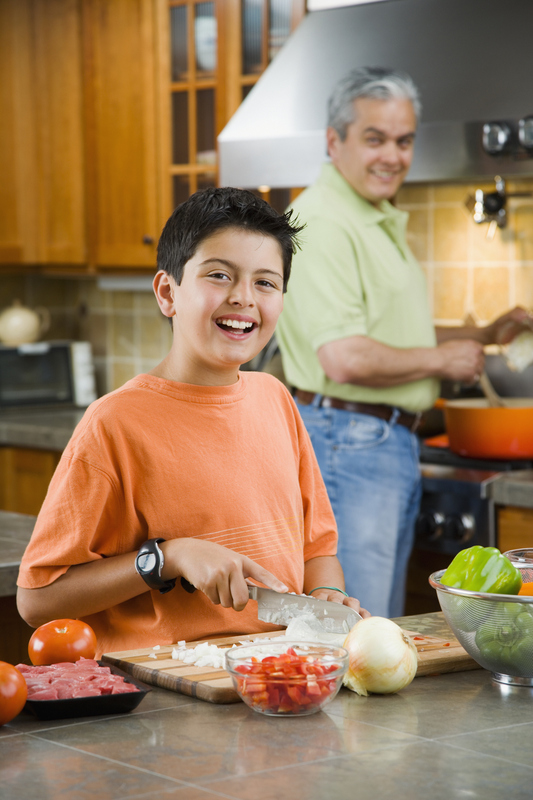 Cooking is a great way to instill healthy habits that will last a lifetime. Literacy: Reading recipes can help develop your child’s reading skills. Math skills: Measuring ingredients can help improve math skills. Science: What will happen when you boil an egg or make bread? Social studies: What food is grown in Canada and around the world? Food skills: How do you stir, chop, knead, pour and scoop? Social skills: How can we work together, take turns and share utensils? 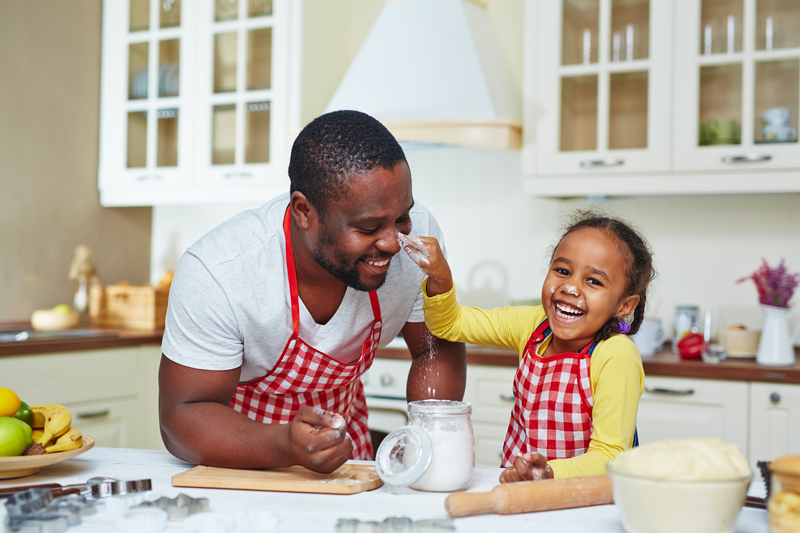 Getting kids into the kitchen offers a lifetime of perks and encourages a healthy relationship with food and family. 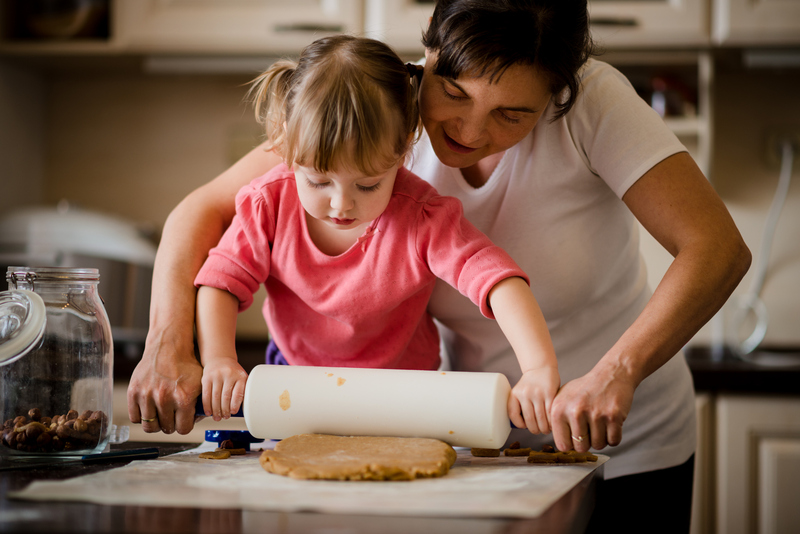 Our friends at UnlockFood.ca share some great ways kids can be involved at every age and stage. Start with something easy like play dough or muffins. Decide together on the recipe, the buy in is key! Consider your child’s age, skill level and interest. Timing, allow for lots of extra time. Consider your mindset, are you feeling patient? Keep it light, fun and safe. Good luck, enjoy and remember it’s not about the end product but the journey along the way. Happy stirring, pouring, mixing, splashing and of course making memories. This entry was posted in Children & Tweens, Healthy Eating for Your Child/Tween, Healthy Eating for your Teen, Parenting, Parenting Your Child/Tween, Parenting Your Teen, Teens and tagged benefits of cooking with kids, cooking with kids, kids and cooking, kids in the kitchen, preschoolers, ways to get kids into the kitchen. Bookmark the permalink.